Boulder City’s girls team won their record sixth-straight team championship behind two record-setting performances from Rose Pouch. But the Boulder City boys team saw their streak of seven consecutive state titles ended by Truckee. 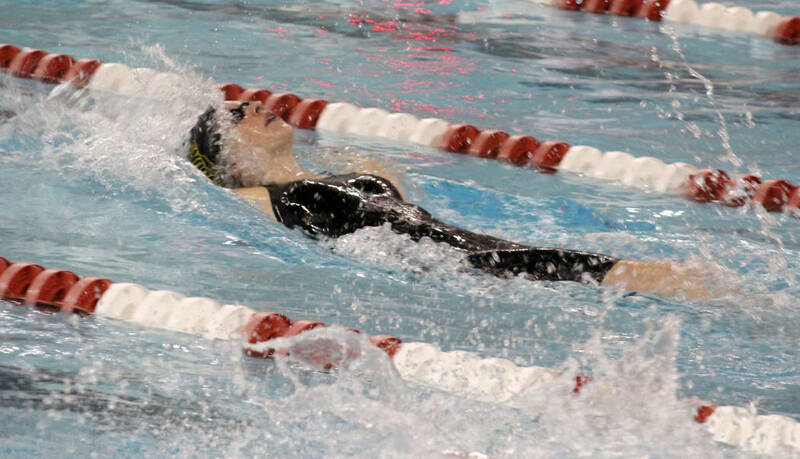 Records fell early and often Saturday at the Class 3A boys and girls state swimming and diving championships at UNLV, as eight meet records were eclipsed during the competition. And by the end of the competition, one dynasty continued on, but another fell. Boulder City’s girls scored 170 points to hold off second-place Truckee, which finished with 150. But on the boys’ side, Truckee upended the Eagles 145-124 to become the first team other than Boulder City to win a Class 3A state swimming title since the state events were split from one meet to 4A and 3A. Boulder City coach Sara Carroll, who has coached 10 boys teams and six girls teams to state titles, said the results in both meets were hardly shocking. For the Boulder City girls, Pouch set her first record with a time of 2 minutes, 3.8 seocnds in the 200-yard individual medley. She followed that up with a record time of 55.63 in the 100 butterfly. Pouch also joined Annika Freibuger, Daphne Thompson and Quinci Thomas on the Eagles victorious 200 medley relay team, which took first with a time of 1:50.86. Pouch said she was also happy with how everyone on the team contributed to achieving their goal of winning another state title. 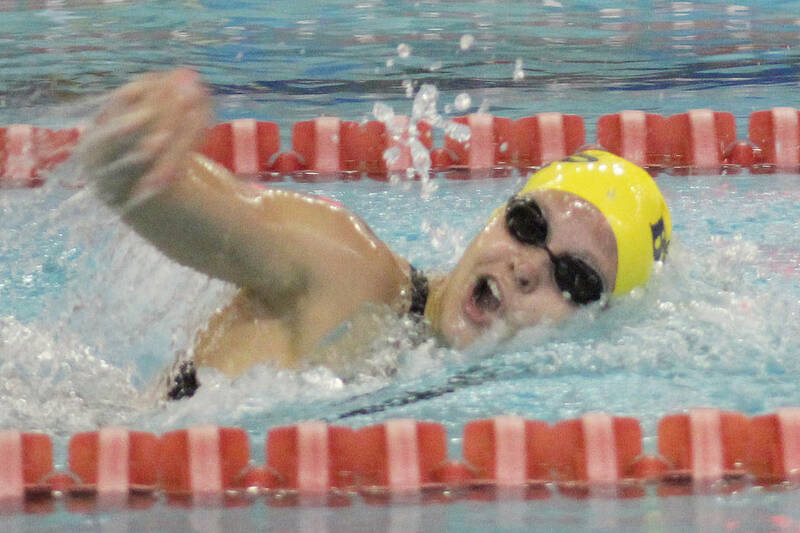 The Boulder City 400 freestyle relay team of Aimee Garcia, Ashleigh Wood, Freibuger and Thomas also won in 3:46.74. Garcia also won a pair of individual events for the Eagles, winning the 200 freestyle in 1:54.68, and taking first in the 500 freestyle with a time of 5:03.77. On the boys’ side, Boulder City’s A.J. Pouch set a pair of meet records on the way to swimming to two individual golds. A.J. Pouch won the 200 individual medley with a record time of 1:50.46, and also set a meet mark of 55.35 in the 100 breaststroke. 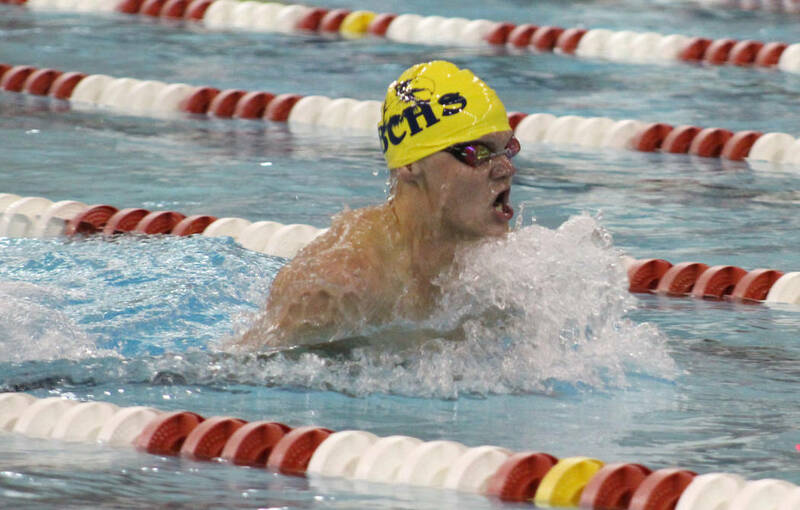 “The 200 IM was a lifetime best, and the 100 breast was a second off of my all-time best. So I can’t really complain,” A.J. Pouch said. “Everything went nice and smooth. But Cooper DeRyk of Truckee was able to match A.J. Pouch in wins and records, as he placed first in a pair of events where he broke his own meet records. 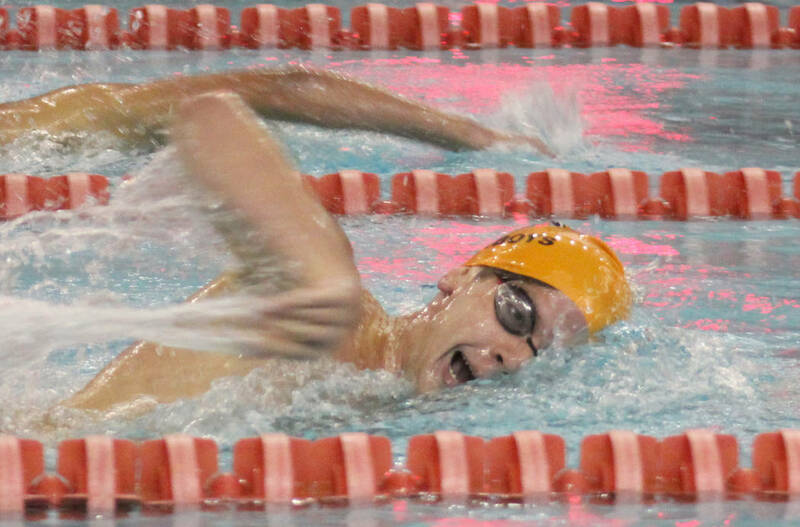 DeRyk broke his 50 freestyle record by .03 seconds, winning with a time of 20.13. He also eclipsed his 100 butterfly record time by .03, taking first with a time of 48.84. Another record fell for Truckee in the 100 backstroke, where Kaikea Crews took first with a time if 49.66. Crews also took first in the 200 freestyle with a time of 1:42.88. Other boys state champions included Adam Mirjanian of Chaparral, who won the 500 freestyle with a time of 4:48.97. Aaron Reed of Cheyenne won the boys 1-meter diving with a score of 259.8. In the girls’ meet, Brynn Sproul of Del Sol won the 100 backstroke with a meet-record time of 55.51. Elle Renner of Tech won the diving competition with a score of 432.4.